SOURCE: iStockphoto/Adam Kaz The federal government can assume a vital role in which it frames critical national challenges, facilitates the flow of information and expertise to and between regions, and helps finance, in a competitive and leveraged fashion, valuable activities that innovation clusters would otherwise be unable to undertake. Innovation is the critical component of long-term economic prosperity, driving productivity growth and (if spread across key sectors of the economy) ensuring broad-based economic growth. Sparking innovation, however, requires capital (which is threatened by the current economic downturn), skilled-labor, scientific and technological advances, and creative collaboration between government and the private sector. Innovation cannot be dictated, but it can be cultivated. In this paper, we focus on the importance of President Barack Obama’s call for a new federal effort to support regional innovation clusters. We know now—from a solid record of state and local achievements and academic research—that regional innovation clusters are a critical component of national competitiveness. Geographic regions that are bound together by a network of shared advantages create virtuous cycles of innovation that succeed by emphasizing the key strengths of the local businesses, universities and other research and development institutions, and non-profit organizations. Think information technology in Silicon Valley, music in Nashville, manufacturing in the Pacific Northwest, or life sciences in Massachusetts. The United States, we argue in this paper, requires innovation policies for which responsibility is shared between regional leaders and the federal government. Leadership must begin in the clusters themselves—with local understanding of competitive strengths and strategies to increase the shared advantages that economists recognize as “positive externalities.” The federal government, however, can and should assume a vital role in which it frames critical national challenges, facilitates the flow of information and expertise to and between regions, and helps finance, in a competitive and leveraged fashion, valuable activities that clusters would otherwise be unable to undertake. The federal government provides large sums of funding for basic scientific research, and boasts a variety of different programs to help companies and state and local governments prepare executives and workers for employment at young, innovative companies seeking to commercialize this research. But the federal government lacks a comprehensive approach for innovation policy. What’s needed is today is a clear-eyed blueprint for developing more innovative clusters around the country that links together federal programs, academic institutions, companies, and local and regional policymakers. In this series, Science Progress will feature bold ideas from innovation experts across the nation for how the Obama administration can develop an effective innovation policy that creates jobs, enables economic mobility, enhances science, and grows the county’s competitiveness. To that end, President Obama has requested that $100 million be appropriated in fiscal year 2010 for the Economic Development Administration of the Department of Commerce to support regional innovation clusters and associated business incubators. That request is, by itself, a very small portion of the federal innovation budget. The U.S. government each year spends about $150 billion on basic scientific research and development. The EDA funding would help scientific breakthroughs resulting from this research find their way into new products and services that, in turn, could help foster broad-based economic growth. We believe it is vitally important for Congress to appropriate this $100 million. After all, we devote less than 1 percent of our nation’s basic R&D budget to programs that support regional clusters, unlike our most aggressive international competitors (see box on page 2). As this paper will demonstrate, a relatively small federal initiative can be managed so that it yields significant economic advantages. Such support could help create the next powerhouse information technology company like Google or the next pioneering biotechnology company like Genentech—and these are only two of the thousands of new companies, large and small, that spawned their groundbreaking technologies on university campuses in Silicon Valley before becoming Fortune 500 companies. New businesses, in turn, create new jobs, bolstering the overall economic well-being of the nation. This $100 million would be money well spent. The reason: Never before has the U.S. government devoted a single penny to a comprehensive national program specifically dedicated to supporting regional innovation clusters and business incubators that fuse the geographically shared resources of universities and other research organizations, companies, research centers, governments, and workers. Federal involvement is needed. Although the United States boasts a series of successful clusters, their true potential has not been fully realized. Cluster initiatives, according to a recent Brookings Institution report, are “too few” and they are “thin and uneven in levels of geographic and industry coverage, level and consistency of effort, and organizational capacity.” Moreover, traditional clusters are under terrible stress. The automobile cluster in the Midwest is suffering not just from the perspective of the automobile manufacturers and their direct workers, but also with regard to the impact on the supply-chain, including specialized suppliers and local communities. Automobile parts manufacturers told the Treasury Department earlier this year that 130,000 jobs had been lost in eighteen months. Federal support to help innovation clusters improve their competitive strengths makes good economic sense. Begin by considering what regional economic clusters are and how they work. A simple, working definition is this: Clusters are geographic concentrations of companies, suppliers, support services, financiers, specialized infrastructure, producers of related products, and specialized institutions (such as training programs) whose competitive strengths are improved through the existence of shared advantages. So, for example, a successful cluster connects companies with academic institutions, research labs, and other nonprofit organizations in order to create the kind of virtuous cycle of competitiveness that creates jobs, stimulates business formation, and improves productivity. What are the kinds of advantages shared by the participants in clusters? They could be a set of workers who boast particular skills, such as building boats in Maine. Or community colleges that offer training to manufacturing workers in places where advanced manufacturers are located. Or companies that decide to locate somewhere because of the presence of well-trained employees. Or research centers that conduct basic research into biotechnology close to start-up biotechnology companies. Anything, really, that creates what an economist would call a “positive externality,” a benefit that is captured not just by a single company, but by entire communities. Positive externalities are nothing new. Nor are high-tech innovation clusters. Some, like Silicon Valley or the Route 128 corridor outside Boston, boast world-class universities and research institutions anchoring fervent communities of networked high-tech information technology and biotechnology companies served by a critical mass of commercial, legal, and financial talent. And some, like Akron, Ohio, have leveraged historical expertise; Akron’s rubber industry has spawned an innovation cluster anchored by companies committed to polymer science and advanced manufacturing innovation. 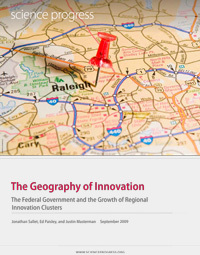 Here is what is new: The notion that regions can work closely with the federal government to consciously focus on the creation of shared advantages within clusters to create jobs, create businesses and, of course, stimulate long-term economic growth. Job creation and business creation, the main economic benefits coming from innovative clusters, mostly spring from so called “high impact” companies (high-tech startups and established companies alike) that sell goods and services outside their clusters to both national and international markets, drawing revenue back into the cluster. These “traded” services boost regional economic growth and national economic competitiveness. As measured by patent rates, productivity rates, and other innovation metrics, an innovation cluster creates new companies and new jobs in a helter-skelter but overall positive direction. The federal government, of course, does spend money on a variety of innovation programs designed to help communities across our country create some of the ingredients necessary to replicate the success of thriving high-tech innovation clusters, such as the San Diego biotech cluster, the medical devices cluster around Minneapolis, and Research Triangle Park in North Carolina. These programs help fund the early commercialization of innovative products and services as well as regional workforce development and economic development efforts to provide the infrastructure necessary for innovative companies to flourish. But these programs fall short of their true potential precisely because they are not organized in a systematic fashion to reap the advantages of an innovation cluster. The programs often fail to coordinate their work and leverage their unique strengths toward innovation cluster development as their central mission. That’s why a modest federal investment in a national cluster development program would multiply the benefits of our existing federal innovation programs, coordinate these efforts, and match federal expertise to the weaknesses and needs of regional clusters. Some of our strongest international competitors, including Japan, South Korea, and many European countries, have invested in significant national cluster initiatives, directing great amounts of money and resources toward making innovation clusters the main focus of their economic and innovation policies. The irony is obvious—foreign innovation policymakers have come to the United States to study our successes and consult with our experts and yet the United States has conspicuously failed to embrace cluster initiatives as an explicit part of its own innovation policy. France, for example, has a €1.5 billion program called Pôles de Compétitivité that is focused entirely on creating, supporting, and encouraging the growth of innovation clusters throughout the country. In fact, 26 of 31 European Union countries have cluster initiative programs in place. Japan has made similarly large investments in two cluster programs called the Knowledge Cluster Initiative and the Industrial Cluster Program, while South Korea has made innovation clusters the central organizing concept of its industrial policy. Numerous other countries in Europe and Asia, especially China, boast nation programs dedicated explicitly to promoting the development of specific regional innovation clusters. No reason exists for the United States government not to do the same. Our nation also needs to improve the economic competitiveness of our regional innovation clusters. Do federal programs that fail to focus on all of the ingredients needed to create a successful innovation cluster lack the direction and heft to make a difference? Can a government program dedicated specifically to the creation of new innovation clusters make a difference? And are there other factors that account for the unique innovative qualities that make Silicon Valley and Route 128 a success yet doom efforts in other regions of the country to failure? The answer is “yes” on all three counts, which presents policymakers with a troubling dilemma: how best to invest limited federal resources? This paper offers policymakers a guide through this dilemma. In the first part of the paper, we will explore briefly the lessons learned by those who have both led and researched innovation clusters over the past several decades. We will reconfirm the observation that, first and foremost, “place matters.” Successful regional innovation clusters are not fungible—success rests upon differentiated competitive advantages that exist for different reasons in different parts of the country. We will then demonstrate that access to finance matters, too. The greatest challenge that clusters need to bridge is the so-called “valley of death” financing gap that leaves young innovative companies with good ideas unable to fund the commercialization of those ideas due to the lack of seed-stage and early-stage financing. The current financial crisis has widened this valley, not just for young companies, but also for established companies that once could turn to more liquid debt and equity markets or to local or regional lenders and investors to fund their new ideas. Strategies to attract new private capital to regional innovation clusters are critically important. There’s also a similar dearth of human capital—both managerial and workforce—in many regions of the country that wish to create or expand vibrant innovation clusters. American workers are very productive and much of our nation’s manufacturing sector could operate profitably in the United States if we took advantage of our global leadership in research and development, innovation, and process technologies to forge more competitive regional economies. The problem is we don’t do that today in any nationally systematic way involving clusters. The result is a growing structural unemployment problem with seemingly few solutions to match our productive workforce to the needs of innovative regional businesses. Overcoming all of these connected hurdles requires us to rethink how we go about supporting clusters. So, also in the first part of this paper, we will examine how forward-thinking state and metropolitan governments have adopted practices that foster strong clusters, creating jobs, helping established companies grow and, of course, providing opportunities for new businesses. The key lesson for regional governments: Patience and leadership are necessary in the creation of all clusters. 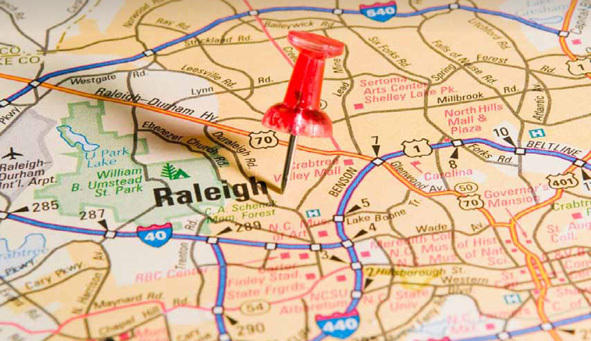 Cases in point: North Carolina’s Research Triangle Park and San Diego’s CONNECT cluster—two regions that focused on all the ingredients needed for success, including federal funding—took several decades to reach their current prominence among U.S. clusters and were piloted there by a coterie of forward-thinking government, university, and business leaders. Newer clusters that recognize the importance of patience, such as those budding around the Arizona State University in Tempe, the Washington, D.C. metropolitan region’s many universities, and in rust belt cities in the Midwest such as Pittsburgh, are making headway. In the second part of the paper, we will discuss the reasons why Congress should support, and how the Obama administration should effectively implement, the president’s proposal that the Economic Development Administration be appropriated $100 million to support regional innovation clusters and associated business incubators. We will demonstrate that the Obama proposal is the answer to the failures of federal support identified in our earlier discussion of federal efforts. And we will show how this new effort—alongside dedicated White House leadership—can simultaneously increase the effectiveness of other federal programs, such as Small Business Innovation Research and Small Business Technology Transfer programs, which are administered by a variety of government agencies in coordination with the Small Business Administration, and the efforts of other Commerce programs, including those housed at the National Institute of Standards and Technology and the National Science Foundation. (See Appendix for a summary of the main federal programs that could measurably increase the impact of a clusters approach). Support for clusters through the Department of Commerce’s EDA must be targeted at what matters most to innovation: The shared advantages that accrue to businesses, workers, and communities alike when the success of a cluster spawns a virtuous cycle of economic growth. Operating at the micro-economic level, the EDA must show a keen understanding of the ecosystem of innovation to ensure that its targeted innovation investments go where they can make a difference building cluster infrastructure and thereby do the most good for the longest time. Administer a competitive matching-grants program, with established criteria used to ensure the greatest impact of federal funding, among them an emphasis on local leadership from the private and public sectors, including universities and other research institutions. Align the cluster selection process with national priorities such as energy-efficiency, advanced manufacturing, and new technologies when administering this matching grants program. Assist economically distressed areas of the country by pooling regional resources from within and outside of distressed areas in order to bring together a critical mass of university savvy, business acumen, and productive workers. No single grant application should have to meet all these criteria, but having these three principal guidelines in place will help ensure transparency and effectiveness. Funding should be focused on building the common infrastructure of innovation in a region, which effectively lowers the cost of business growth and creation. Examples include program development plans for business incubators and research centers, worker-training programs, and technology-transfer efforts focused on small- and medium-sized companies. Where regions have no effective clusters, smaller planning grants should also be available for the creation of strategies based on comparative advantages. Support for regional innovation clusters and business incubators is good public policy—and good political leadership. Successful cluster policies have been implemented at the regional level by both Republican and Democratic officials alike because clusters represent a pragmatic approach that requires collaboration with the business community and that, when successfully implemented, benefits communities as a whole. Similarly, pioneering research into the role of clusters by policy advisors to both Democrats and Republicans has created a bipartisan foundation that increases the chances that, once initiated, federal cluster efforts will be supported for a long time by members of both parties. This is important because, as we have noted before, patience matters and, therefore, federal clusters efforts must be able to garner long-term political support. Moreover, in a coming time of budget austerity, the regional cluster initiative does not require large sums of funding. That’s because federal support will be leveraged, providing resources that are not otherwise available but always contingent on regional governmental and private resources to amplify the impact of federal dollars. In fact, federal support in fiscal year 2010 budgets would come at an important time for state governments, which are under tremendous fiscal pressures. 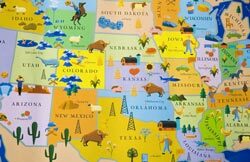 States including Ohio, Kansas, Connecticut, and Pennsylvania have either reduced economic development spending or encouraged large reorganizations of programs to control it. Over time, the implementation of regional cluster strategies can increase the effectiveness of other federal spending. Just within the Department of Commerce itself, for example, export promotion and technology outreach programs at the International Trade Administration and NIST, respectively, would be strengthened by their links to effective cluster strategies, which in turn could supply valuable expertise to increase EDA’s own effectiveness. Even more importantly, federal support for regional innovation clusters presents an important opportunity for EDA to forge a close partnership with the Small Business Administration, whose own programs reach deep into local communities. In the pages that follow we will present our analysis, conclusions, and recommendations in greater detail. In the end, we hope the case is made that Congress needs to appropriate that first $100 million toward a national program for regional innovation clusters. We are confident this step will help ensure that the $150 billion taxpayers invest annually in basic scientific research and development can better deliver on the promise of more and better jobs, new businesses, and transformative technologies across our nation. Ed Paisley is Vice President for Editorial at the Center for American Progress and Editorial Director of Science Progress, A CAP project. He is a 20-year veteran of business and finance journalism who was previously responsible for award-winning coverage of technology finance and international finance at The Deal, a specialist Wall Street publication, and at Institutional Investor magazine. Justin Masterman worked first as an Intern and then as a Special Assistant for Science Progress at the Center for American Progress. A recent graduate of the University of Pennsylvania, where he was a University Scholar, Justin wrote about innovation policy and economic development for Science Progress. Although the $50 million allocated for business incubators is not money explicitly dedicated to regional innovation clusters, business incubators perform a very important support function in innovation clusters. The business incubator programs accelerate the creation and development of successful businesses, an essential component of innovation clusters. Steven Ezell, “Benchmarking Foreign Innovation: The United States Needs to Learn from Other Industrialized Democracies” (Science Progress: January 12, 2009). Karen G. Mills and others, “Clusters and Competitiveness: A New Federal Role for Stimulating Regional Economies.” (Washington: Brookings Institution) available at http://www.brookings.edu/reports/2008/04_competitiveness_mills.aspx. Michael E. Porter, “Why America Needs an Economic Strategy,” BusinessWeek , available at http://www.businessweek.com/magazine/content/08_45/b4107038217112_page_4.htm. Karen Mills, Elisabeth Reynolds, Andrew Reamer, and others, “Clusters and Competitiveness: A new federal role for stimulating regional economies.”,” (Washington: Brookings Institution, April 2008). Pgp. 6. The Economist, “The American Car Industry,” The Economist, February 19th, 2009, available at http://www.economist.com/business/displaystory.cfm?story_id=13145718. Zoltan J. Acs and others, “High-Impact Firms: Gazelles Revisited,” Small Business Administration, available at http://www.sba.gov/advo/research/rs328tot.pdf. Maryann Feldman, “Place Matters: Innovation Springs from Many Seeds, But Soil Is Equally Important.” (Washington: Science Progress, Center for American Progress, January 2009). Support for regional innovation clusters and business incubators is good public policy—and good political leadership. Successful cluster policies have been implemented at the regional level by both Republican and Democratic officials alike because clusters represent a pragmatic approach that requires collaboration with the business community and that, when successfully implemented, benefits communities as a whole. Similarly, pioneering research into the role of clusters by policy advisors to both Democrats and Republicans has created a bipartisan foundation that increases the chances that, once initiated, federal cluster efforts will be supported for a long time by members of both parties. This is important because, as we have noted before, patience matters and, therefore, federal clusters efforts must be able to garner long-term political support. Moreover, in a coming time of budget austerity, the regional cluster initiative does not require large sums of funding. That’s because federal support will be leveraged, providing resources that are not otherwise available but always contingent on regional governmental and private resources to amplify the impact of federal dollars. In fact, federal support in fiscal year 2010 budgets would come at an important time for state governments, which are under tremendous fiscal pressures. States including Ohio, Kansas, Connecticut, and Pennsylvania have either reduced economic development spending or encouraged large reorganizations of programs to control it. Over time, the implementation of regional cluster strategies can increase the effectiveness of other federal spending. Just within the Department of Commerce itself, for example, export promotion and technology outreach programs at the International Trade Administration and NIST, respectively, would be strengthened by their links to effective cluster strategies, which in turn could supply valuable expertise to increase EDA’s own effectiveness. Even more importantly, federal support for regional innovation clusters presents an important opportunity for EDA to forge a close partnership with the Small Business Administration, whose own programs reach deep into local communities. In the pages that follow we will present our analysis, conclusions, and recommendations in greater detail. In the end, we hope the case is made that Congress needs to appropriate that first $100 million toward a national program for regional innovation clusters. We are confident this step will help ensure that the $150 billion taxpayers invest annually in basic scientific research and development can better deliver on the promise of more and better jobs, new businesses, and transformative technologies across our nation. Download this report (pdf) Jonathan Sallet is a managing director of The Glover Park Group and a former director of the Department of Commerce’s Office of Policy and Strategic Planning under Secretary Ron Brown. (The views expressed herein represent only his views, and not those of his firm or any client thereof.) Ed Paisley is Vice President for Editorial at the Center for American Progress and Editorial Director of Science Progress, A CAP project. He is a 20-year veteran of business and finance journalism who was previously responsible for award-winning coverage of technology finance and international finance at The Deal, a specialist Wall Street publication, and at Institutional Investor magazine. Justin Masterman worked first as an Intern and then as a Special Assistant for Science Progress at the Center for American Progress. A recent graduate of the University of Pennsylvania, where he was a University Scholar, Justin wrote about innovation policy and economic development for Science Progress. Although the $50 million allocated for business incubators is not money explicitly dedicated to regional innovation clusters, business incubators perform a very important support function in innovation clusters. The business incubator programs accelerate the creation and development of successful businesses, an essential component of innovation clusters. Steven Ezell, “Benchmarking Foreign Innovation: The United States Needs to Learn from Other Industrialized Democracies” (Science Progress: January 12, 2009). Information gathered from program website available at http://www.competitivite.gouv.fr/index.php?&lang=en  Karen G. Mills and others, “Clusters and Competitiveness: A New Federal Role for Stimulating Regional Economies.” (Washington: Brookings Institution) available at http://www.brookings.edu/reports/2008/04_competitiveness_mills.aspx. Michael E. Porter, “Why America Needs an Economic Strategy,” BusinessWeek , available at http://www.businessweek.com/magazine/content/08_45/b4107038217112_page_4.htm. Karen Mills, Elisabeth Reynolds, Andrew Reamer, and others, “Clusters and Competitiveness: A new federal role for stimulating regional economies.”,” (Washington: Brookings Institution, April 2008). Pgp. 6. The Economist, “The American Car Industry,” The Economist, February 19th, 2009, available at http://www.economist.com/business/displaystory.cfm?story_id=13145718. Zoltan J. Acs and others, “High-Impact Firms: Gazelles Revisited,” Small Business Administration, available at http://www.sba.gov/advo/research/rs328tot.pdf. Maryann Feldman, “Place Matters: Innovation Springs from Many Seeds, But Soil Is Equally Important.” (Washington: Science Progress, Center for American Progress, January 2009). http://www.scienceprogress.org/innovation-clusters/ provides some specific regional examples.